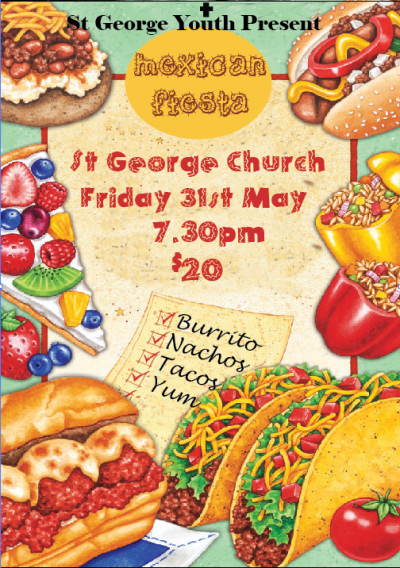 The dinner will be at St George on Friday 31st May starting at 7:30pm. There will be so much food it will be ridiculous. Think Taco bar, quesadillas; nachos and so much more. Your biggest choice on the night will be beef, pork or chicken? What kind of Mexican fiesta doesn't have games? So look out for the chilli eating competition, piñata and a special Mexican photo booth. And of course the event will be proudly illegitimately sponsored by Sony. You might walk out with a camera, a PSP, some blu-rays, a couple of PS3 games or 10. The price is a measly $20. Tickets go on sale this week. A party of one isn't a party at all so bring your friends whether their names are Sanchez, Conchita or Mina... All Welcome!